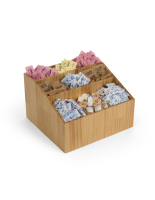 ENTER CODE BCCDM5 IN CART TO TAKE $5.00 OFF THIS ITEM! 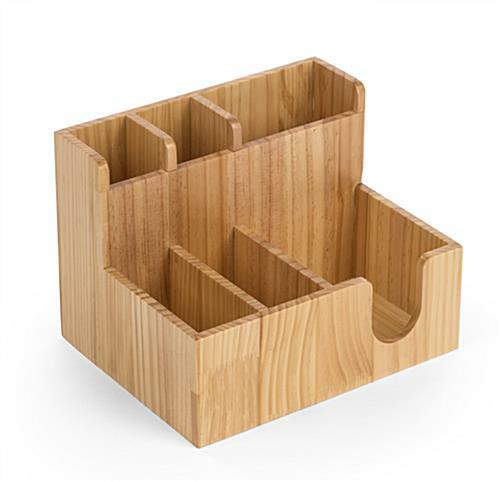 This bar caddy napkin organizer has six compartments to house all your self-serve supplies. 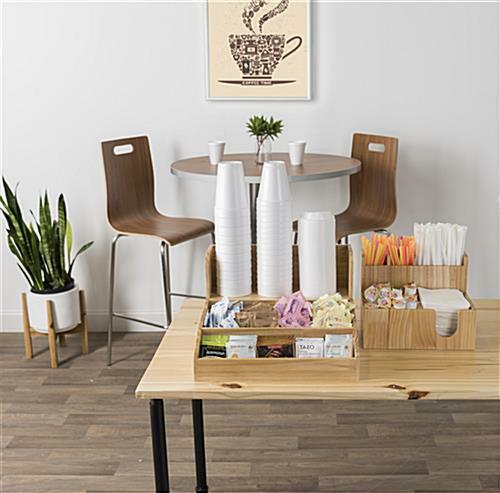 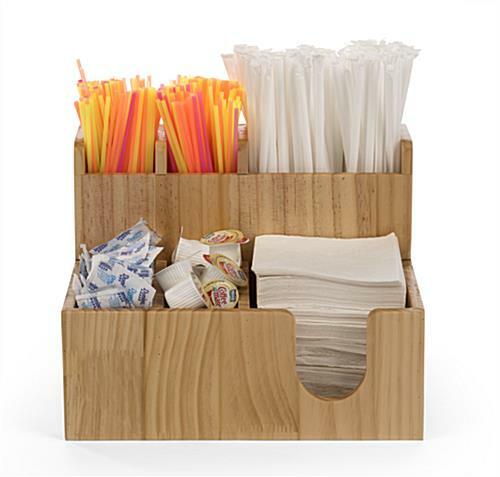 Tall pockets at the back are great for displaying straws and coffee stirrers, while front-loading bins stock condiments. 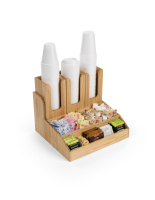 This countertop bar caddy napkin organizer with natural wood finish also lends a contemporary style to any table or beverage station. 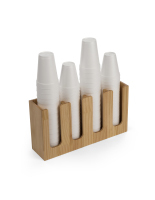 Each pocket of this condiment holder has an open top to make refilling quick and easy. 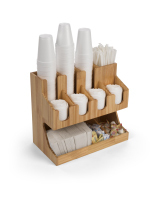 A tiered design allows this dispenser to stock different sized items together while still allowing access to each compartment. 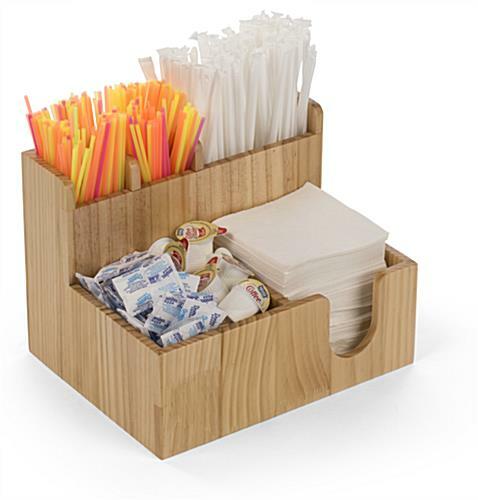 Use this bar caddy organizer to condense your supplies and save some counter space in your café or breakroom. 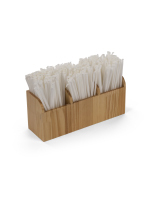 11.1" x 8.3" x 8.8"
5.1" x 3.3" x 5.4"
2.4" x 3.3" x 5.4"
5.1" x 5.9" x 2.3"
2.4" x 5.9" x 2.3"